Invisalign treatment usually entails an abundance of questions. It’s inherently interesting. Today, in case you’re Invisalign-curious, we’re going to run through the FAQs to give you a better insight into the treatment, as we’re aware of its enigmatic nature. Invisalign is an orthodontic treatment which straightens your teeth. An alternative to braces and retainers, they’re removable and won’t affect your everyday life. 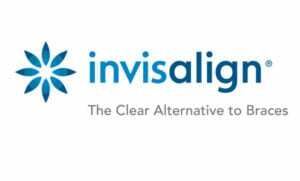 Invisalign is transparent; its main intention is not to look like anything. If your fears are looking like Eliza Thornberry, let those fears stop at that possibly outdated reference. As legitimate as they may be, it simply won’t be a worry. That’s why Invisalign treatment is taking the world by storm! If you’ve made the decision to get Invisalign, first of all, you’ll come in and see us – in our lovely pink building. You’ve seen the banner, haven’t you? Best in the country! On arrival, we’ll welcome you, offer you a drink, ask if you saw last night’s Corrie. It was great, wasn’t it? Then we’ll take some scans, x-rays, and photographs, or alternatively, we can take an impression. After that, we’ll produce some custom-made aligners Which you’ll need to switch up every two weeks. As you’re literally reshaping your smile, no matter the approach, it will always hurt. As your smile begins to takes on its new form, it will hurt less and less. As an adult, Invisalign is undeniably the best way to re-shape your teeth. This is because it doesn’t affect your everyday life, due its transparency. What Can I Eat With Them? What About Drinking? Drinking wise: whilst we advise avoiding alcoholic beverages as they’re extremely acidic, it isn’t to your smile’s detriment if you do. If you do decide to have a few drinks, we simply suggest you swill your mouth every now and then. Eating wise: you need to take your aligners out every time you eat. If one section of the tray is compromised – which it can be by an eating motion as they’re made of thin plastic – the overall effectiveness will also be compromised. We know; sounds silly, really. But many do question its authenticity. Invisalign, categorically, will fix your smile if you believe it to be imperfect. It is foolproof. This is when most won’t even be aware you have it. How Much Does Invisalign Cost? And When Can I Get It Done? Our Banbury Invisalign treatment prices begin at £1188. How much it’ll cost you entirely depends on the severity of your problem. And you can get it done faster than the current plot will develop on Corrie! Come in and see us and we’ll get you on track right away. Banbury dentists, 41 South Bar has been helping patients achieve exquisite smiles for 25 years. We aim to deliver a high-quality, friendly service that eclipses all others. Why not come in and meet us.